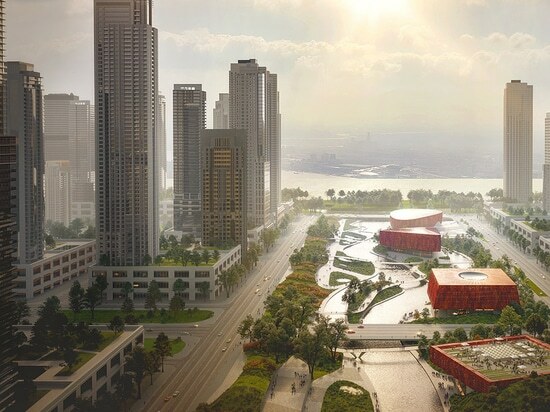 Powerhouse Company and Benthem Crouwel Architects, together with Landscape Architect SMARTLAND and Chinese firm UAD, have unveiled competition proposal for the Asian Games Athlete Village International Zone in Hangzhou, China. 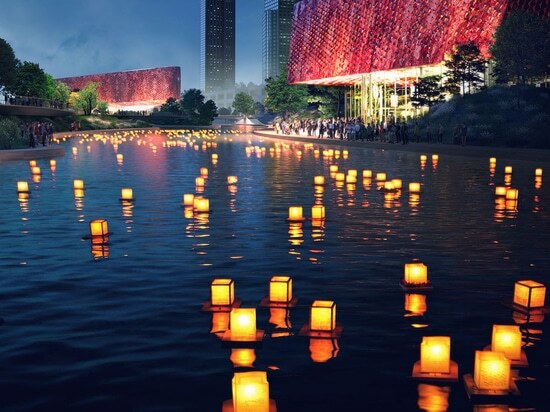 The city of Hangzhou, a scenic and metropolitan capital in East China, will host the Asian Games in 2022. The sporting tournament is the latest in a long list of high profile international events in China in general and Hangzhou in specific. 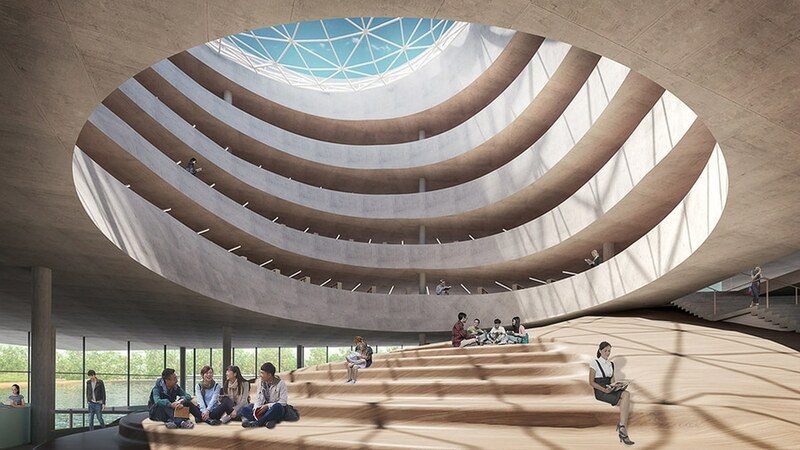 Six international architecture firms, including Snøhetta, SO-IL, NEXT Architects, Jadric Architektur, and Pelli Clarke Pelli Architects, are competing in the design competition. Hangzhou has become a modern and fast growing city, but has a rich history going back more than 2,200 years. It has important natural attractions such as West Lake UNESCO World Heritage Site, Xixi National Wetland Park and the Grand Canal. This dynamic city is projected to become a truly sustainable 21st Century city; beautiful, healthy, hospitable, culturally rich, eco-friendly and fully climate-proof. 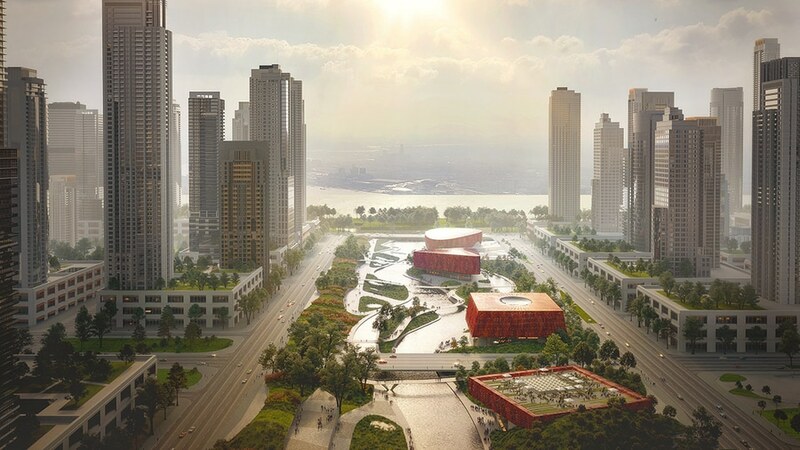 As part of this future vision, a new urban district is being developed on the south bank of the Qiantangjiang River. During the Asian Games, this area will accommodate athletes and officials and will serve as the most important area for public activities. 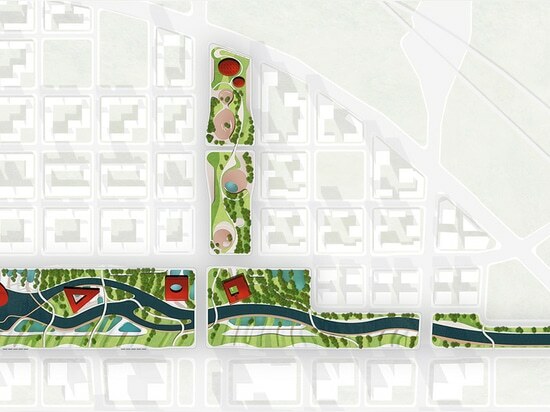 After the games, it will function as a city district for residents to relax and enjoy a green environment and its cultural and public facilities. Water is a basic element of life, but can also be a threat following the effects of climate change. This is especially relevant for the project site, which is slated for an area of land recently reclaimed from the sea. 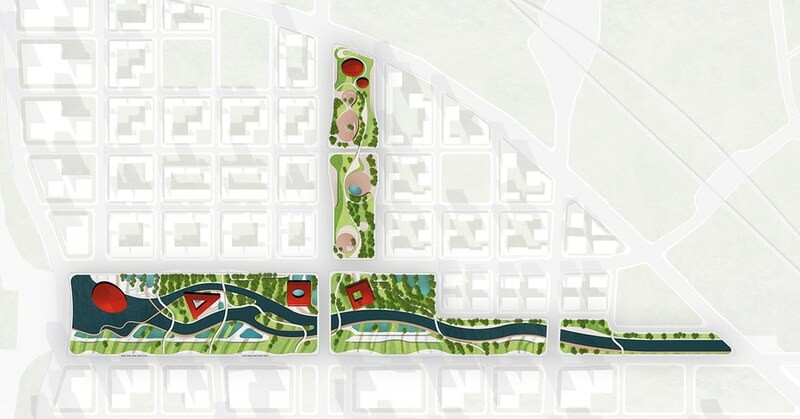 For our 'Sponge City' design concept, we embraced the original nature of the site; a sandy transition between land and water. The concept is focused on collecting and storing rainwater to induce positive effects and reduce negative ones. 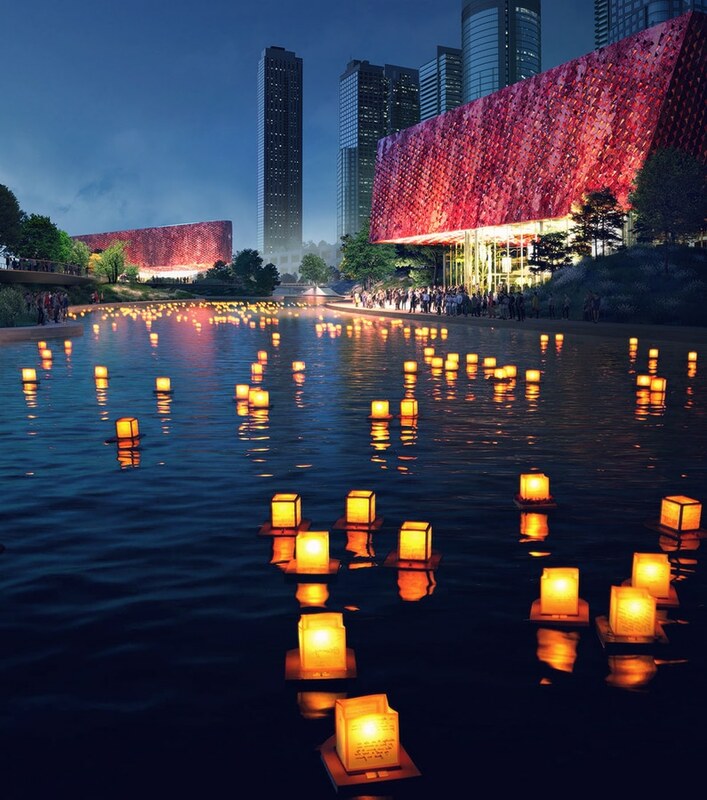 As described in the design concept, the Asian Games Athlete Village International Zone will be critical to the new water management system and sustainability of the city. "We always draw inspiration from the challenges that assignments offers us. In this case we turned a concern about water into a great quality for the citizens of Hangzhou. The power of water, and its capacity to polish rough stones to shiny gems, became a leading theme in our design. We combine rational considerations with a strong storyline that resonates well within the Chinese context", explains Daniel Jongtien. The inspiration for the building facades came from Phoenix Bloodstones, the precious gemstones local to the Hangzhou region. Shaped by water and embedded into the landscape, the red gems are symbolic artifacts of people and culture, filled with happiness and success. The Youth Activity Center provides a space for excitement and creativity for the younger generations. Its main feature is a public roof that functions as an elevated square. The Library gives visitors a sense of home with its public spaces that overlook the water and form the "living room" of the building. 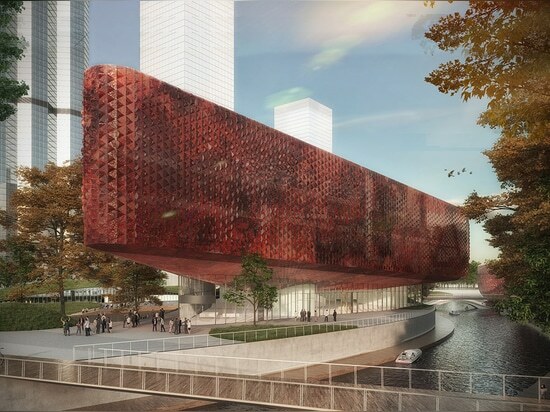 Departing from the angular shape of the library, the Museum introduces a more polished gem. With a triangular plan, multiple exhibitions can be organized since the spaces allow a great deal of flexibility. 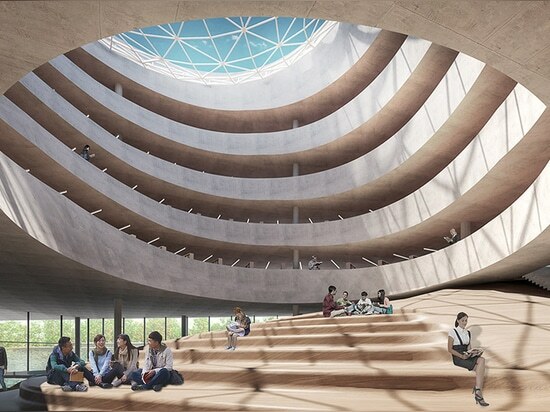 The Music Performance Center is the smoothest and polished gem of the masterplan. It also has the strongest relationship with the water. This interaction is emphasized by its reflection on the water's surface. The Community Sport Center is an interior world of sports on display to the city with its transparent facades. A majestic dome brings light into the main hall, a 15 meter high space for a variety of sports and events. The Community Commercial Center plays an important role in servicing the surrounding residential area. The building accommodates shopping for daily needs as well as workshops, small courses and daycare. 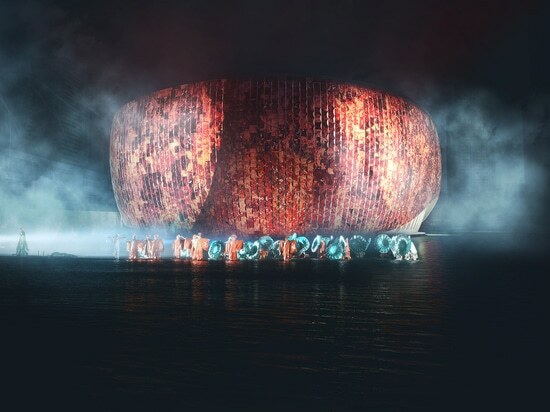 Powerhouse Company and Benthem Crouwel Architects are honored to have participated in this important competition. "We are proud of the results and the excellent and inspiring collaboration with the landscape design and our local Chinese partners. 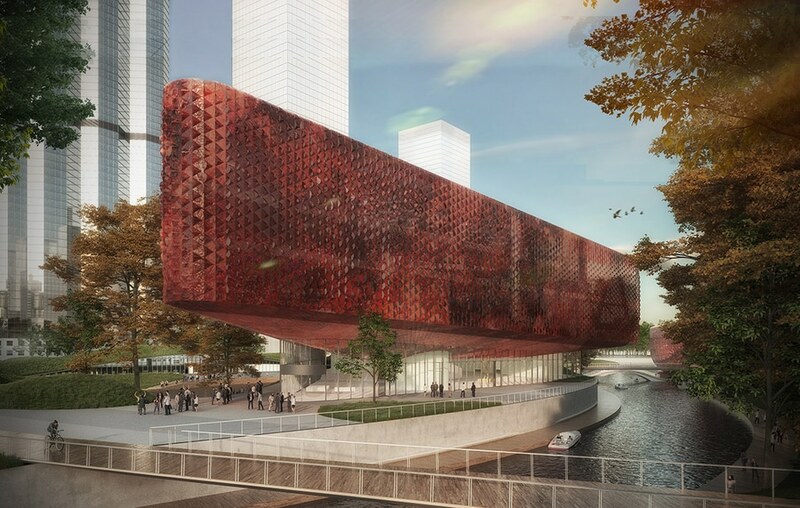 It certainly increased our interest to work on more large-scale projects in China”, concludes Stijn Kemper, whose office has recently delivered inSPORTS Beijing, an innovative multifunctional social venue with ski and snowboard simulators, and Hangzhou Xiaoshan Airport Terminal 4 design competition in 2017 (Powerhouse Company and Benthem Crouwel Architects).